Wait, what? Metro Engineering intern Justin Pattison walked through the Eads Bridge today (yes, he is trained to do that! ), and he shared with me some of the photos he took. 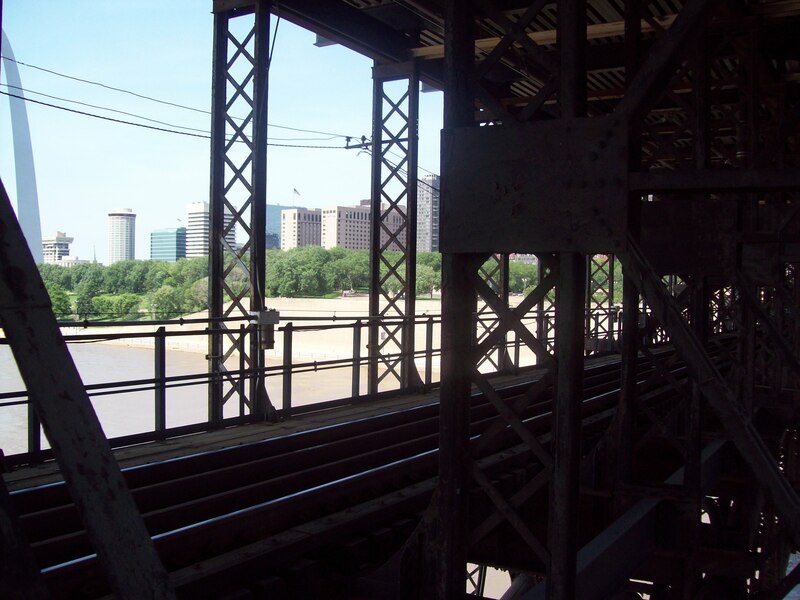 The Metro crew and he went out to identify a utilities construction plan for the Eads Bridge rehabilitation project. 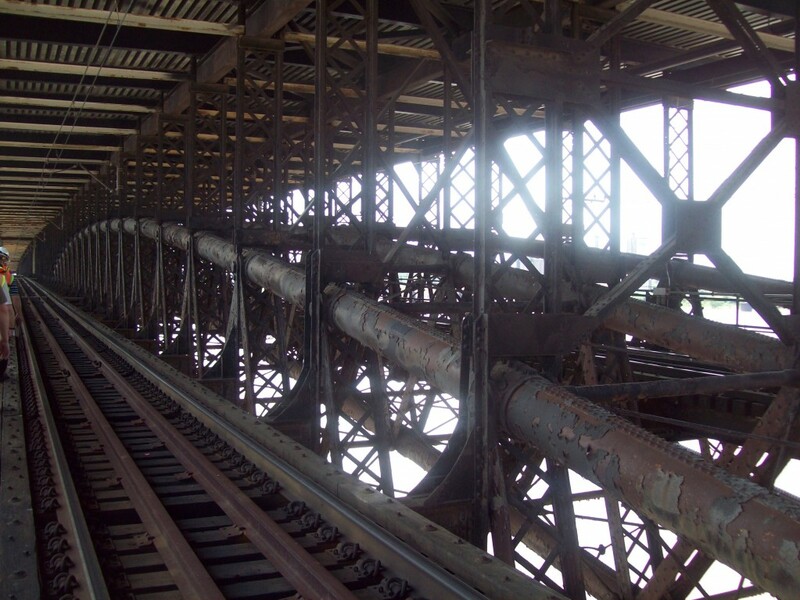 The bridge has not had a new paint coating for 135 years, and needs to be scraped and repainted, along with some other repairs. Check out some of the amazing photos Justin took of St. Louis’ historic bridge, the first steel structure project in the U.S. Imagine, when James Eads built this bridge, steel was considered a new building material. 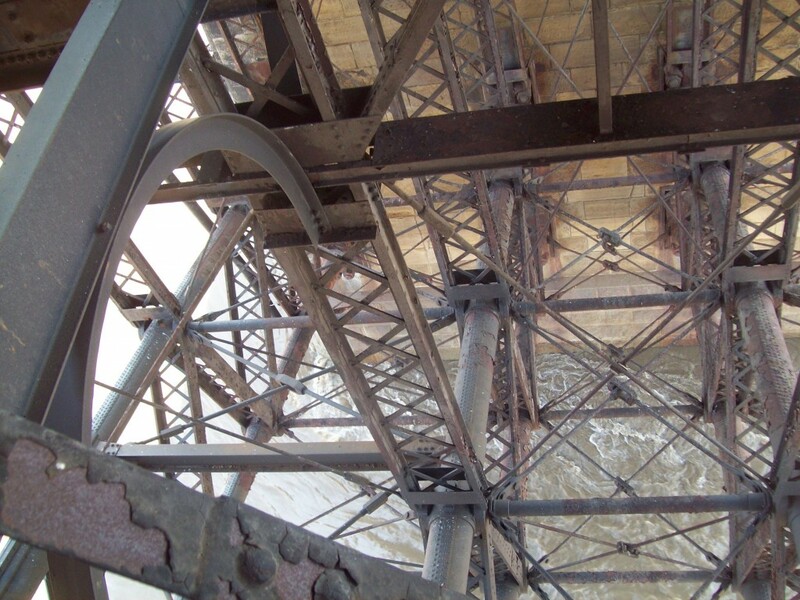 The structural success of the Eads Bridge helped launch the career of Andrew Carnegie. 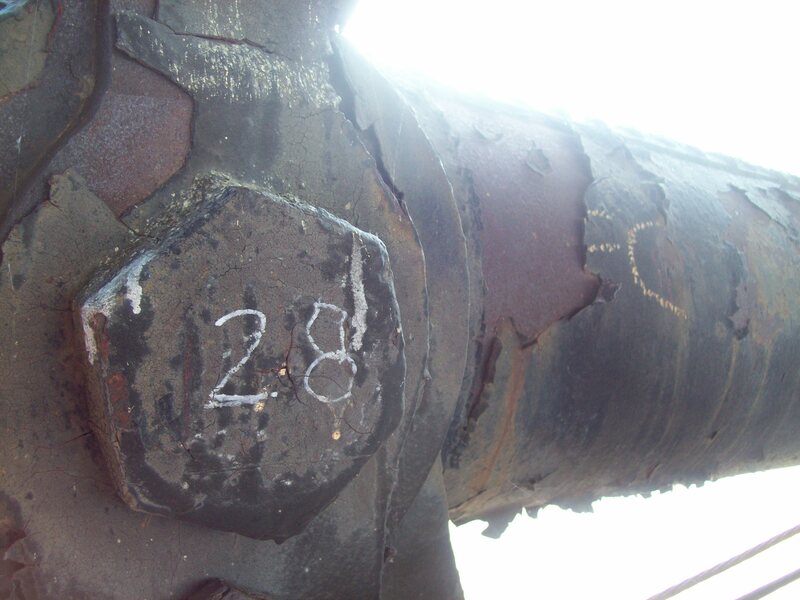 For more information on the rehab project, see Jennifer’s post on the Eads Bridge rehabilitation. 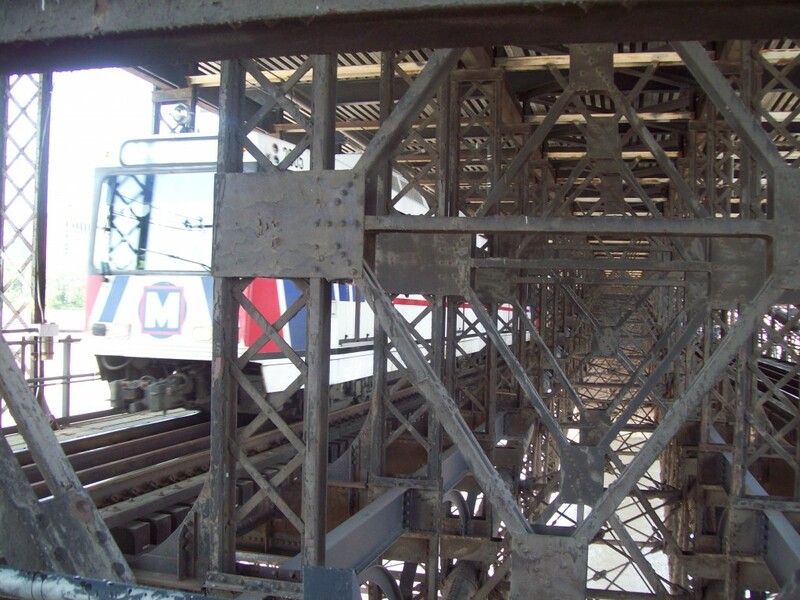 The Bridge is still structurally sound, so MetroLink and cars on the upper deck safely travel across. The Mississippi River flows down below. Amazingly, the Eads Bridge has withstood the flow of the river for 135 years. You can see from this picture the original stonework of the granite pillars. The arch design of the bridge can be seen from this angle. Paint chipping off the steel structures. 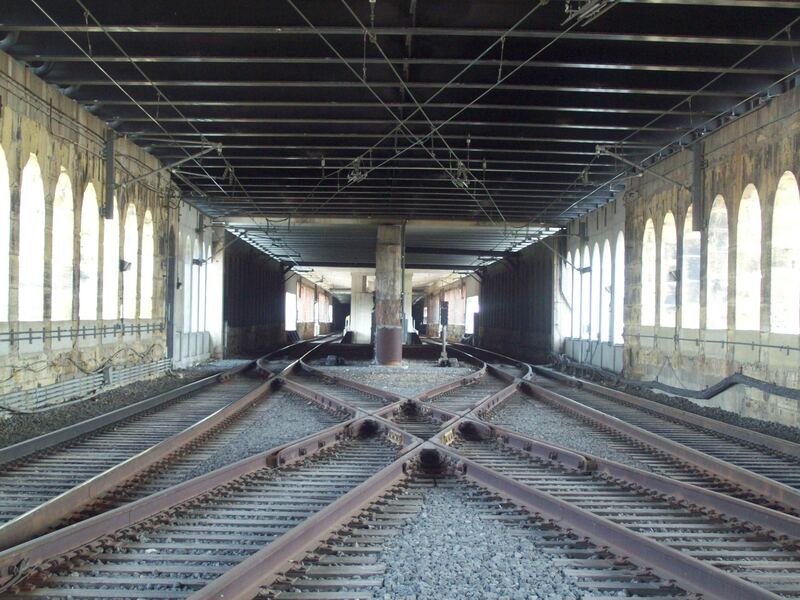 The Eads Bridge interlocking, which allows trains to switch tracks, helping to avoid delays and to allow for system repairs. The view of the Arch grounds from inside the bridge. 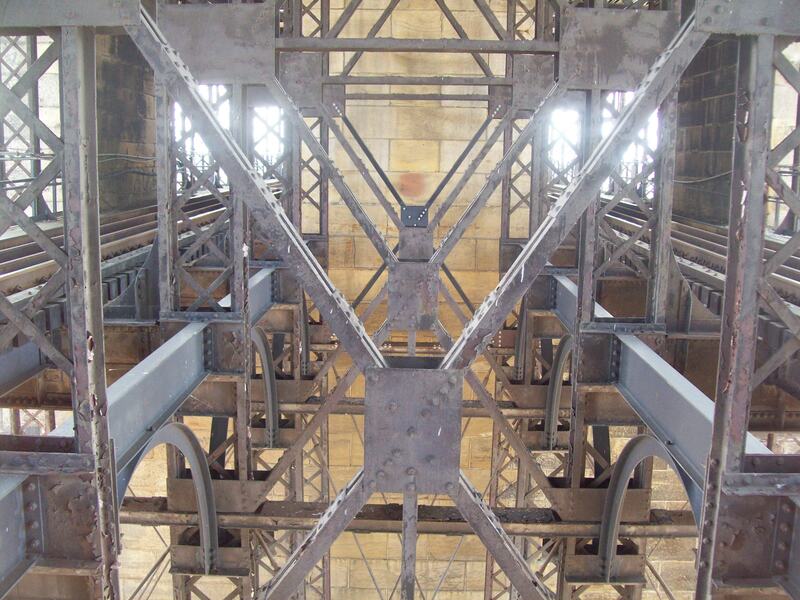 For more a great read on the history of the Eads Bridge, its extraordinary construction and its significance for U.S. industry, check this Museum Gazette by the National Park Service.